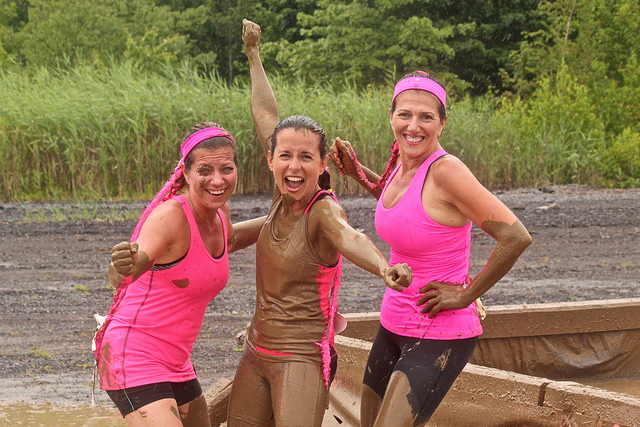 Obstacle races such as the Tough Mudder, Tough Guy, Spartan Race and Pretty Muddy are rising in popularity across the UK. It seems running a 5k, 10k or even a marathon just doesn’t cut the mustard for us nowadays, so organisers have got inventive and put together some truly impressive obstacle races to challenge and inspire us. 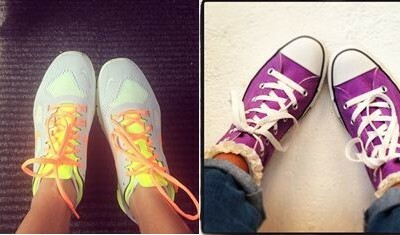 Running experts Sportsshoes.com, shares their obstacle training tips, with running technique suggestions and three examples of body conditioning workouts. Fundamentally obstacle races are running events. Distances can range from 5k through to a full marathon distance for the brave. With increasing numbers of people of different fitness levels signing up to race at these events, newer races are now offering a variety of distances and obstacle difficulties to increase their accessibility – they’re no longer just for the super fit. Here’s just a taster of some of the many obstacles you will find at an obstacle race. 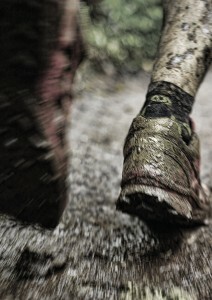 Terrain: Be prepared to hit a whole smorgasbord of running terrain in just one race. Terrain can range from slow grassy inclines, through to steep muddy hills and thigh-high water courses. Tunnels: Not ideal if you’re claustrophobic , obstacle tunnels can be straightforward tubes to crawl through, or worse submerged tunnels filled with ice-cold water. Electrified obstacles: In the pursuit to make races harder and stand out from others, organisers are constructing all sorts of wicked ways to put their racers through hell. 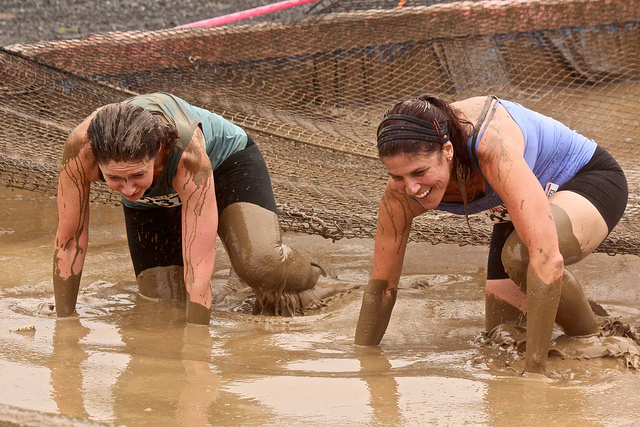 One of the nastier obstacles in some races are electrified wires hanging over a muddy crawl space. Racers have to dodge and weave in between the wires to avoid a sharp shock. Monkey bars, walls and ladders: At many races, organisers construct large monkey bar gantries, walls and ladder frames across water courses or soft mud pits. If you don’t make it across, get ready for a big splosh! Training for obstacle courses takes a lot of commitment. The training may not be easy but it’s actually fairly straightforward. It’s wise to focus 70% of your total training time on the run, aiming to improve running efficiency, technique and endurance. Firstly choose a training plan that fits the distance of your obstacle race run, the amount of time you have to train and your current fitness level. Vary the terrain you train on – including plenty of off-road runs. Find out more with this Beginner’s Introduction to Trail Running. 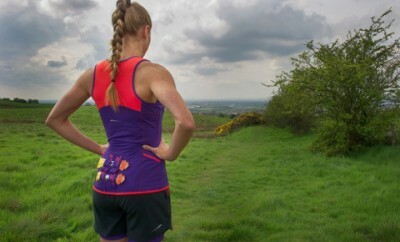 Vary your run training techniques and add regular Fartlekking (that is spelt correctly!) and interval runs. Fartleks: Originating from Sweden, this motivational training technique (translated as “speed play”) involves getting creative with your run and changing your speed from a slow to fast pace as and when you like. Intervals: The ultimate way of training your anaerobic energy system to help develop power, endurance and aerobic fitness. Short sprint intervals (up to 15 secs) will develop strength and power and longer intervals (between 20 secs and several minutes) will develop stamina and endurance. The other 30% of your total training time should be aimed at improving your strength and developing lean muscle in the upper and lower body for stamina. Adding bodyweight conditioning workouts to your weekly training plan is a great way of developing the strength required to climb and crawling over obstacles. Improve your workout by adding some protein shakes from Supplements Direct. Head to the park or gym and get set-up near the pull-up bars. If you’re not great a pull-ups then this one will help develop the grip strength required for a good pull-up, plus work those legs hard. Have you seen the Trelfie?